Okay, you probably don't need anyone to explain Bono's sheer magnetism. The way he makes every love song sound like it was written just for you, the way your blood races to the soaring rhythm and melody. I've heard the music of U2 referred to as "anthem rock" which seems to sum it up very well for me. The magic of Bono is that whatever Bono is selling, I want some of it. Admit it, you do, too. But my favorite thing about this band, beyond its ability to set my blood on fire with passion, desire, righteous anger, disdain, you name it, is the conviction that underpins every song, every lyric, every appearance. Since the beginning, U2 has used its position of influence as a rock band to speak up for compassionate causes. At the concert the other night, Bono spoke to the crowd of the imprisoned leader of Burma, and dedicated the concert to her. He spoke of aid that had come from the US in recent years, allowing 3 million African to receive AIDS vaccine. And millions of African children that have been spared the threat of malaria because of widespread distribution of mosquito netting. I totally respect that. And it just makes me love him the group more. And it makes me ask myself, what am I doing in my own circle of influence, to actively support my own personal causes? Causes like hunger, homelessness, and clean water. My Maker, my Savior wants me to do good in his name, and these are the causes about which a food-loving mom can grow increasingly passionate. Sure, I have my hands full with raising kids at this point in my life. But I want to raise my kids to be aware of the real (broken) world; to give them appreciation for their own life, but also to build a spirit of compassion in them. I can talk forever about the importance of sending money overseas or buying clothes for disadvantaged kids at Christmas, but the conviction is growing in my heart that I don't want my kids to leave my care having learned that giving money is the best or only way to reach out to the broken world around us. I make no evaluation on Bono's spiritual situation. But he has spent decades reaching out and helping others, using the influence he has been given. In the same decades, I, as a professed follower of the greatest humanitarian of all (Jesus), have done a lot of talking, and not enough doing. Bono challenges me to act on the quiet prod in my heart. My action time has come. I sense it. I don't know exactly what that action is, but it's got to happen soon, because the conviction and need to obey are starting to consume me. I just need to pick up the phone and get started. For me, the cause is to fight hunger in my community, to be a Christ-follower doing a people-loving work. What is your cause? What can you do to begin to make a difference? I love this post. 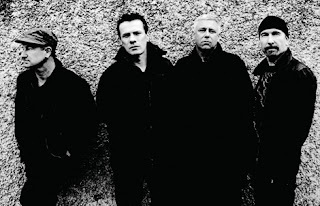 U2 is awesome aren't they? All of Bono's efforts to improve the condition of our world is worthy of applause. I think its wonderful. I love how you talk about raising children that really know how to reach out - and give of themselves to bless the lives of others. I too want to raise compassionate children - I want my kids to have a heart for service. Thanks so much for reminding me to set that example...daily. Awesome! Have a great Thursday, friend!